Cut dragon fruit in half. Gently scoop out the white center fruit and cut into chunks. Reserve the red dragon fruit peel as a serving bowl. Add fruit to medium bowl along with the other fresh fruit, lettuce leaves and mint. Drizzle honey over the fruit and gently toss together. 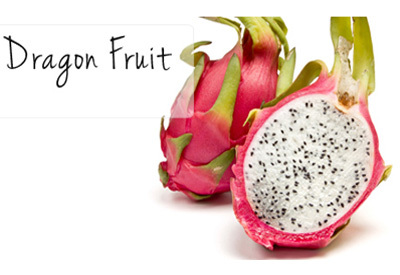 Spoon fruit into each half of the reserved dragon fruit peel and serve.